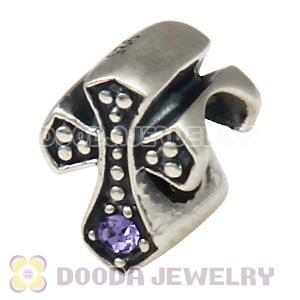 This European Silver Cross charm bead is hand finished and crafted from 925 sterling silver with austrian crystal stone,together with christ by wearing european jewelries with this Cross Charm,and show your faith with this european bead,perfect gift for Christians. 1. Feature: Each Sterling Silver cross Charm is made of high quality austrian crystals and sterling silver,made by high skilled worker,Perfect processing,fit perfect on European,bighole etc.bracelet chains.